Paul Rainwater is seen in this photo provided by the City of New Orleans. Next week, the Legislature will return for another special session to address the state’s revenue problems, following its failure to find a compromise in the just-concluded special session in May. Regardless of what you may have heard from some legislators and lobbyists, Louisiana is in the midst of a budget crisis of epic proportions, one which threatens our schools and colleges, our infrastructure, services to the sick and those with disabilities, and food security for struggling families across our state. A lot of incendiary things have been said about those who recognize that renewing a half-cent sales tax is the only way to keep our state afloat. Supporters of this partial tax renewal have been tagged as tax-and-spend liberals. We’re here today, having served in the cabinet of former Republican Gov. Bobby Jindal, to applaud the Republicans who have stepped out and are supporting the half-cent sales tax renewal, which is the only way to shore up our budget in this moment. It is a tough choice to make — taxing citizens is never easy — but it is the best solution for our state in this moment. Neither party has a monopoly on good ideas, or bad ones, for that matter. And we’re proud of the work to streamline government and rein in spending on behalf of the people of our great state. But we’re at a moment in Louisiana’s history where we simply cannot cut our way out of our budget problems. Fighting for smaller government is in itself a good thing, but without a proper plan, it can be regressive. Closing a university, shutting down food stamps, cutting nursing home services are all things that upend lives in the short term and cause ripples that could have unintended costs in the long run. If you want to make the government smaller, you have to do so over time and with planning. And real tax reform has to be part of the plan. The bottom line is that we simply cannot afford to let the full sales tax expire on June 30. The renewal of one-half of the one penny sales tax that expires on June 30 is a compromise plan that would maintain $548 million in revenue to support critical priorities, while still reducing the tax burden on our people by more than $500 million. And this is in addition to strategic spending cuts of more than $200 million already passed by the Legislature and approved by the governor. We’ve been cutting and slashing and treading water for years budget-wise in Louisiana. And while this proposal doesn’t solve every problem our state has, it’s a good start down the path and better than anything else being offered. Legislators in both the House and the Senate should ratify this plan when they come into session on June 18. This $548 million in revenue will be invested in the most important resource our state has: its people. It will be invested in health care and education. It will keep facilities from closing and it will literally save lives. It will keep our state agencies functioning. It is the fiscally responsible thing to do. But more important than that, it’s the morally responsible thing to do. We’ve seen how petty disagreements and political loyalties cause gridlock from our nation’s capital in Washington, D.C. to the state capital in Baton Rouge. It’s time that we stop caring who wins a philosophical debate. Because if we let this tax expire, the people lose. Already this year in Louisiana, we’ve let students graduate from high school without knowing how much of their tuition their TOPS awards will cover. Without this compromise, the students will lose. We’ve let seniors and those who live with disabilities and illnesses worry that they may lose services. Without this compromise, the poor will lose. And we’ve allowed our businesses and industries to question our commitment to investing in education, workforce training, and infrastructure that are so critical to our economic development and competitiveness. Without this compromise, the business community will lose. If we can’t agree to renew the full half-cent tax, it will throw our state over a fiscal cliff that some clearly would rather deny exists, but that we’ve all known was coming. Without this compromise, we all will lose. Paul Rainwater is a lobbyist with Cornerstone Government Affairs who represents a variety of clients, including the University of Louisiana System and the University Medical Center. He previously served as commissioner of administration and chief of staff for Gov. Bobby Jindal. Tim Barfield is the president of CSRS, a consulting firm that is often involved with government projects. He previously served as revenue secretary, executive counsel and workforce commission secretary in Jindal's administration. 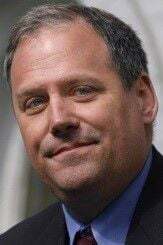 Letter: An easy fix for Louisiana's budget troubles?